Retractable click ballpoint pen with clip. 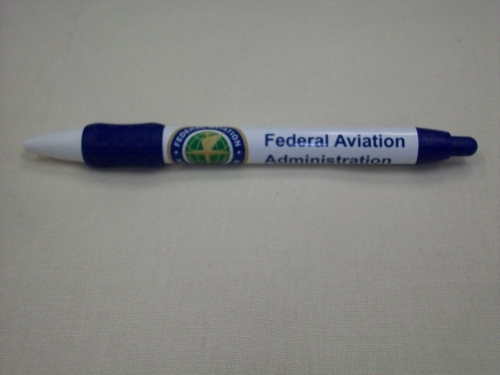 FAA logo. Blue Ink.